what you really want to say. Today we are going to learn the main Portuguese adverbs. 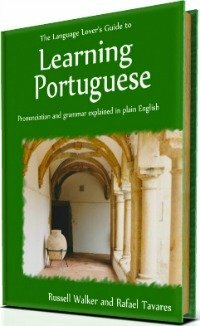 If you learn them, your Portuguese will be clearer and impressive! But you may be wondering what an adverb is. Or perhaps what is the importance of such a word in a Portuguese phrase. "A Maria lê bem." - "Maria reads well". The adverb (the word in bold) shows the manner in which Maria's reading is performed. She could read badly, or incorrectly, but the adverb "bem" tells us that the manner she reads is "well" - a good manner. "O Manuel é notavelmente inteligente." - "Manuel is remarkably intelligent". 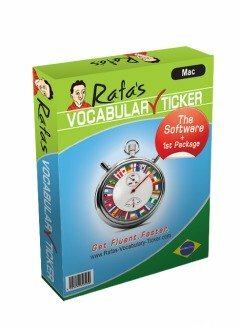 Here, the adverb "notavelmente" modifies the adjective "inteligente", and the other adverb "muito" modifies the adjective "bonita" by expressing the degree of intelligence and beauty, respectively. "A Catarina fala muito depressa." - "Catarina speaks very quickly." Here we can see that "muito" and "depressa" are two different adverbs, however "depressa" shows the manner Catarina speaks and "muito" expresses the degree of speed of her speech. She could speak not very quickly or even inadequately quickly, but the adverb tells us that she speaks very quickly. You see? Easy! Wow, I love this! In Portuguese, adverbs, are varied in their forms and context to express time, place, mode, quantity, intensity, affirmation, denial, doubt and exclusivity. There are also some "adverbial phrases" or, as the grammar call them, "adverbial locutions", which are no more than adverbs but expressed in more than one word, for instance "de vez em quando" - "now and again"
The following tables will give you the most common adverbs divided by the categories aforementioned, with the equivalent English translation for your guidance. So, let's read them carefully! * The adverb "sempre" must always follow the verb (e.g. Ela quer sempre bolos" - "She always wants cakes". ), because is you place the adverb before the verb (as you do in English), you'll be saying something idiomatically different in Portuguese. You see, how useful and how important do you think these Portuguese adverbs are for your communication? Very useful and very important, aren't they? OK. Let's jump for the next category. These are also nice ones, aren't they? Try to learn these first and then jump to the next ones. These ones are very useful ones, don't you think? Many Portuguese adverbs end in "...mente" - whilst in English end in "...ly", e.g. 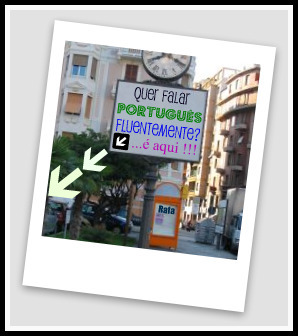 "fluentemente" - "fluently". Portuguese adverbs ending in "...mente" are formed from the feminine form of common adjectives, e.g. 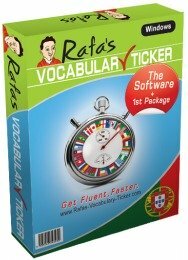 the adjective "rápido" (quick) in its feminine form is "rárida", so the correspondent Portuguese adverb is "rapidamente" (quickly). Here is a challenge: How many adverbs ending in "...mente" can you make up from English words? Have you found some? Write a logical text and use them. In the meantime, if you are still curious about the next category, read on and let's find together the Portuguese adverbs that indicate quantity or intensity. These Portuguese adverbs are quite easy to guess or even to remember, aren't they? In this category of Portuguese adverbs we have indeed many ways to say the same thing. And this is it. Now you know what you have to do, right? You got it! You have to write down sentences and stories using these words! Até amanhã (See you tomorrow). Go Back From Portuguese Adverbs To Portuguese Grammar.